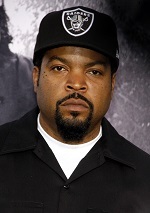 It's a good day indeed for rapper and actor Ice Cube, who just paid $7.25 million to snag this modern mansion on the California coast that the Los Angeles Times reports belonged to action star Jean-Claude Van Damme. The muscles from Brussels left behind a gym, of course, plus a home theater, a wine cellar and an elevator to make reaching all 7,574 square feet that much easier. The 6-bedroom, 8.75-bath home is pure luxury, with a soaking tub situated before a fireplace and a deck with its own fireplace and television. There's even a chef's kitchen for mama to cook a breakfast with no hog. The boys in the Marina del Rey neighborhood are all about the canal scene, with waterways that lead to the Pacific Ocean, which Cube can see from his new rooftop deck with a pool and 360-degree views. Take a look at the brawny pad above.